Conor Randall has been hit with a cruel injury blow just two weeks into his spell at Rochdale. 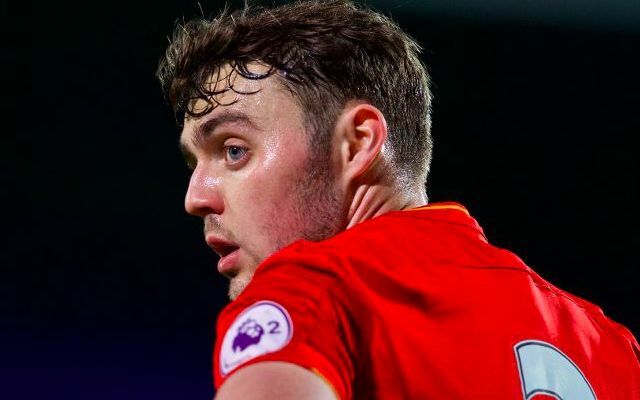 The Liverpool defender joined the League One side on a season-long loan towards the end of August in search of first-team football. His hopes of discovering some form and vying for a regular starting spot were hit with an untimely setback when he suffered a fractured cheekbone in Tuesday’s Checkatrade Trophy clash with Bury. Randall was substituted after just 12 minutes of the game and is now expected to undergo surgery before spending the next four weeks on the sidelines. Rochdale represent Randall’s third loan spell in as many years, with senior opportunities proving extremely difficult to come by at Liverpool. He made his first team debut for the Reds in a 1-0 League Cup 4th round win over Bournemouth back in October 2015 and has only played twice since then. The 22-year-old spent last season on loan at Scottish Premiership club Hearts, registering 28 appearances across all competitions. His previous stint had been a one-month deal in 2015 with then-League Two side Shrewsbury Town, where he managed just a single substitute appearance. Between his various periods away from the club, Randall has featured regularly for Liverpools U23s but rarely gone close to pushing for a starting spot under Jurgen Klopp.